Edible table centerpieces are exciting. 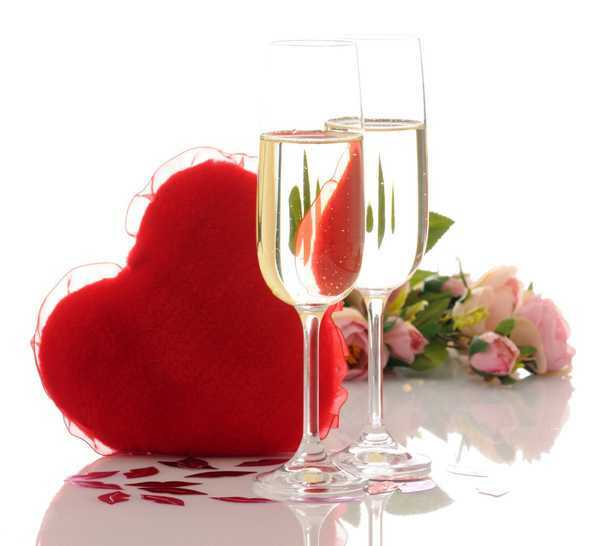 Wine, chocolate and flower bouquets make wonderful Valentines Day gifts, elegant table decorations and centerpieces. Pink or red flowers and chocolate, or a bottle of wine and heart-shaped chocolates are gorgeous combinations for gifts and simple Valentines Day ideas for romantic dinner table decoration. Combined with candles or fresh flower arrangements, edible decorations create beautiful and romantic atmosphere. 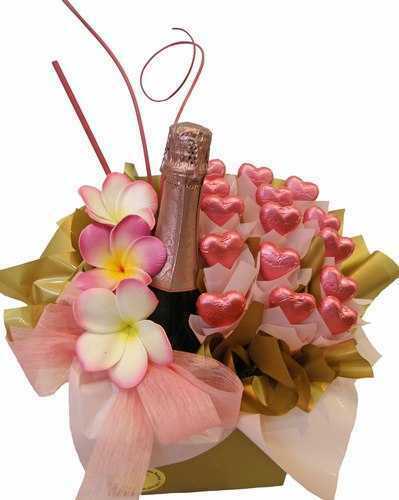 Chocolate bouquets used for Valentine’s Day table decoration are the latest invention in creative table decor for special occasions and holidays. They are the perfect alternatives to fresh flower arrangements and a great option for those looking for a novelty Valentine’s Day gifts. A bottle of wine and a chocolate bouquet are a perfect combination for adults. Chocolate bouquets help create elegant table centerpieces for unforgettable dining. Chocolate bouquets are ideal Valentine’s Day gifts for children, and everyone who love chocolate. 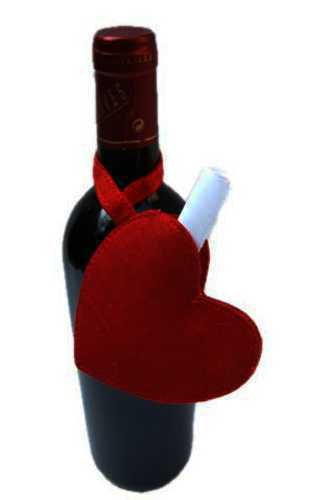 Wine and chocolate make great Valentines Day dinner table centerpieces for enjoying and sharing. 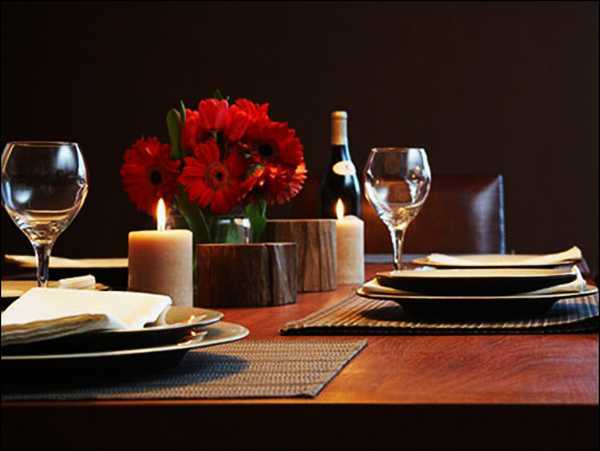 Edible decorations, combined with a bottle of wine or a red flower arrangement, make the Valentine’s Day dinner very special and sensual. Edible decorations, wine and chocolate, combined with a red or pink flower bouquet and candles, create gorgeous, festive and soft table decoration and set romantic mood for a very pleasant evening.